Autosomal-dominant polycystic kidney disease (ADPKD) is a systemic disorder associated with various extrarenal complications. There is little information regarding the occurrence and distribution of cardiovascular abnormalities during the course of ADPKD. The major cardiovascular complications of ADPKD include valvulopathies and vascular ectasia. Aneurysm of the atrial septum (ASA) is a very rare manifestation in ADPKD. A 37-year-old woman who was diagnosed with ADPKD was admitted to our hospital for advanced renal failure. Pelvic computed tomography revealed multiple variable-sized cysts in both kidneys. Trans-thoracic echocardiography showed ASA while the patient was completely asymptomatic. Autosomal-dominant polycystic kidney disease (ADPKD) is characterized by renal and extrarenal involvement with cystic and noncystic manifestations including gastrointestinal tract diverticula, cerebral aneurysm, and hypertension; the last named is a common early finding of ADPKD that occurs in approximately 60% of patients before renal function impairment., Specific cardiac abnormalities, such as left ven-tricular hypertrophy and valvular anomalies, have also been described. In this report, we describe a patient with end-stage renal disease (ESRD) secondary to ADPKD who was diagnosed during a family screening and who was completely asymptomatic even until she was hospitalized in our unit. A transesophageal echocardiography (TEE) showed an aneurysm of the atrial septum (ASA). Herein, we report this rare condition, as well as a literature review on the cardiovascular complications of ADPKD. We report the case of a 37-year-old patient with long-standing hypertension and a family history of ADPKD. In 2011, she was diagnosed with chronic kidney disease. Abdominal ultra-sound showed multiple cysts in the kidney and liver. In 2014, the serum creatinine started rising and an arteriovenous fistula was created. On March 3, 2014, she was admitted to our nephrology unit. On physical examination, the liver was not palpable, but the kidneys were extending into the iliac fossa; her blood pressure was 134/80 mm Hg and her heart rate was 85/min. Cardiac auscultation revealed a holosystolic murmur at the apex. The abdomen was distended and soft. Electrocardiography showed atrial fibrillation and intraventricular conduction delay. Laboratory test results revealed normal cardiac enzymes; serum creatinine and blood urea nitrogen were 708 μmol/L and 26.67 mmol/L (8 and 160 mg/dL), respectively. Chest X-ray was normal [Figure 1]. 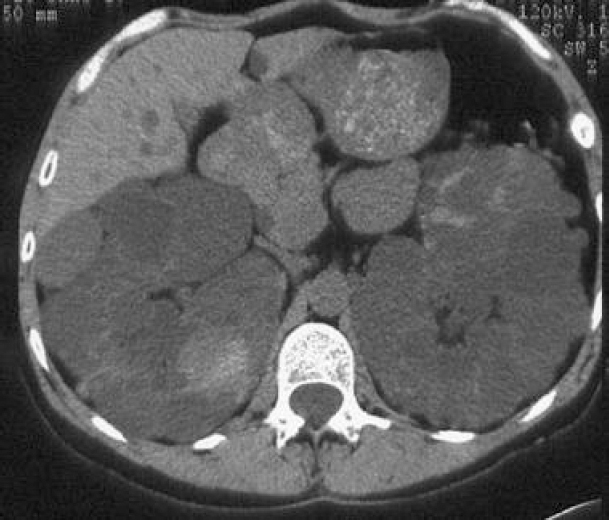 On abdominal computed tomography scan [Figure 2], multiple variable-sized cystic lesions were seen in both kidneys, compatible with ADPKD. There were no specific findings in the abdominal aorta and its branches. Trans-thoracic echocardiography showed that global and segmental systolic function was preserved and a diagnosis of ASA, with no evidence of shunt, was made. Ejection fraction (75%) and pulmonary artery pressure (39 mm Hg) were normal [Figure 3]a. TEE was performed, which showed ASA without patent foramen ovale, unexpanded left atrium (S = 2.3 cm), normotonia (emptying rate = 0.79 m/s), and free mitral valves. Tricuspid and aortic valves showed no regurgitation or significant stenosis. The aorta was not dilated [Figure 3]b. 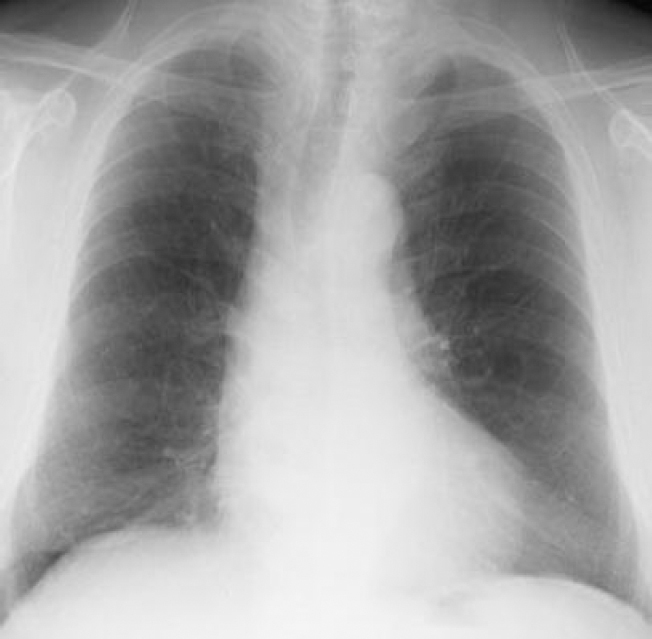 Figure 1: X-ray of the chest showing normal findings. Figure 2: Abdominal computerized tomography scan showing multiple variable-sized cystic lesions in both kidneys compatible with diagnosis of autosomal dominant polycystic kidney disease. Figure 3: (a) Transthoracic (apical four-chamber view) and (b) transesophageal echocardiogram; demonstrating the aneurysm of the atrial septum (yellow arrow). LA: Left atrium, RA: Right atrium. Cardiac involvement in ADPKD patients is a continuous process that evolves early during the course of this disease. It is characterized by a low prevalence of specific valvular abnormalities, a progressive increase in left ventricular mass, left ventricular hypertrophy, and diastolic dysfunction, which are greatest in the later stages of the disease. Lumiaho et al reported an increased prevalence of valvular abnormalities such as mitral valve prolapse, mitral regurgitation, aortic regurgitation, and tricuspid regurgitation in patients with ADPKD. ADPKD may also be associated with an increased incidence of coronary artery aneurysm and dissection. The mechanism underlying the development of valvulopathies and annuloaortic ectasia in ADPKD is uncertain. ADPKD is related to mutations in the PKD1 and PKD2 genes, which encode polycystin-1 and polycystin-2. We report an unusual cardiac manifestation in ADPKD: interatrial right-to-left shunting through an atrial septal defect in the absence of pulmonary hypertension. ASA has been described among the co-pathologies of adult ADPKD in a case report by Catapano et al who described a 65-year-old patient with ESRD due to ADPKD and an ASA associated with platypnea-orthodeoxia syndrome. Waz et al reported a 6-year-old patient with ADPKD and having normal renal function, hypertension, and serial echocardiograms showing an ASA. Korzets et al described a 72-year-old Caucasian female with ESRD due to ADPKD, who presented with shortness of breath markedly exacerbated by standing up and alleviated by lying down. [Table 1] summarizes a review of case reports found in literature. The pathogenesis of intracardiac aneurisms in ADPKD is uncertain. It may reflect a defect in the structure and function of connective tissue and extracellular matrix. In some families with ADPKD, connective tissue and/or extracellular matrix defects may contribute to skeletal abnormalities such as pectus abnormalities, pes planus, joint laxity, arachnodactyly, scoliosis, dolichostenomelia, and high-arched palate. These abnormalities are reproduced by targeted mutations of the PKD1 gene in mice., Moreover, Lu et al have demonstrated that polycystin-2 is essential to normal development of the interventricular and interatrial septa. In fact, PKD2 mice die in utero between embryonic day and parturition; they have structural defects in the cardiac septum and cyst formation in maturing nephrons. Finally, various connective tissue dysplasias have also been associated with cystic kidneys in humans. A similar disorder in collagen metabolism has been noted in the Ehlers-Danlos (Type I and III) and Marfan syndromes. Table 1. Review of case reports in literature. Cardiovascular complications are the major cause of morbidity and mortality in patients with ADPKD. Although routine screening of all ADPKD patients using echocardiography is not recommended, we suggest careful evaluation and serial follow-up of these patients presenting with symptoms or signs of cardiac disease to enable early decision-making regarding treatment. Ecder T, Fick-Brosnahan GM, Schrier RW. Polycystic kidney disease. In: Schrier RW, editor. Diseases of the Kidney and Urinary Tract. 8th ed. Philadelphia, Pa, USA: Lippincott Williams & Wilkins; 2007. p. 502-39. Chapman AB, Schrier RW. Pathogenesis of hypertension in autosomal dominant polycystic kidney disease. Semin Nephrol 1991;11:653-60. Ecder T, Schrier RW. Hypertension in autosomal-dominant polycystic kidney disease: Early occurrence and unique aspects. J Am Soc Nephrol 2001;12:194-200. Helal I, Reed B, Mettler P, et al. Prevalence of cardiovascular events in patients with autosomal dominant polycystic kidney disease. Am J Nephrol 2012;36:362-70. Chapman AB, Johnson AM, Rainguet S, et al. Left ventricular hypertrophy in autosomal dominant polycystic kidney disease. J Am Soc Nephrol 1997;8:1292-7. Lumiaho A, Ikäheimo R, Miettinen R, et al. Mitral valve prolapse and mitral regurgitation are common in patients with polycystic kidney disease type 1. Am J Kidney Dis 2001;38: 1208-16. Hadimeri H, Lamm C, Nyberg G. Coronary aneurysms in patients with autosomal dominant polycystic kidney disease. J Am Soc Nephrol 1998;9:837-41. Torres VE, Harris PC. Autosomal dominant polycystic kidney disease: The last 3 years. Kidney Int 2009;76:149-68. Catapano F, Pancaldi S, Pace Napoleone C, et al. An unusual cardiac manifestation in autosomal dominant polycystic kidney disease. Case Rep Nephrol 2012;2012:978170. Waz WR, Pieroni DR, Stapleton FB, Feld LG. Atrial septal aneurysm in a patient with autosomal dominant polycystic kidney disease. Am J Kidney Dis 1994;24:209-10. Korzets Z, Golan E, Ben-Chitrit S, et al. Orthostatic hypoxaemia in dialysed adult polycystic kidney disease patients. Nephrol Dial Transplant 1997;12:733-5. Angelini P, Wilansky S, Gaos C, et al. Prolapsing large aneurysm of the atrial septum simulating a right atrial mass. Cathet Cardiovasc Diagn 1992;26:122-6. Schneider B, Hofmann T, Meinertz T, Hanrath P. Diagnostic value of transesophageal echocardiography in atrial septal aneurysm. Int J Card Imaging 1992;8:143-52. Ul Haque A, Moatasim A. Adult polycystic kidney disease: A disorder of connective tissue? Int J Clin Exp Pathol 2008;1:84-90. Lu W, Shen X, Pavlova A, et al. Comparison of pkd1-targeted mutants reveals that loss of polycystin-1 causes cystogenesis and bone defects. Hum Mol Genet 2001;10:2385-96. Somlo S, Rutecki G, Giuffra LA, et al. A kindred exhibiting cosegregation of an overlap connective tissue disorder and the chromosome 16 linked form of autosomal dominant polycystic kidney disease. J Am Soc Nephrol 1993;4:1371-8. Kaplan BS, Kaplan P, Kessler A. Cystic kidneys associated with connective tissue disorders. Am J Med Genet 1997;69:133–7.